London, 26 June 2018: Independent research commissioned by Zeek Mobile Ltd (Zeek), Europe’s leading Retail Currency platform, has revealed that nearly half of UK shoppers (47 percent) are purchasing gift cards to spend on themselves. 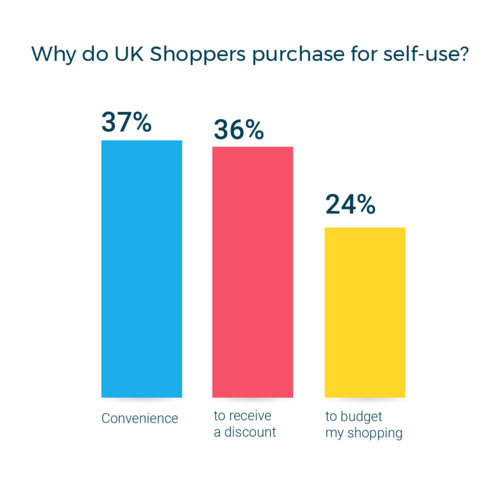 The study, the first of its kind in the UK, surveyed over 2,000 UK consumers and found that the top three drivers for self-purchase are convenience (37 percent), to receive a discount (36 percent) and to help budget shopping (24 percent). Which UK shoppers are buying gift cards for self-use? Millennials (16-34 yr olds) are most likely (3 in 5) to purchase gift cards for self-use with a further 15 percent saying they do this often. Again convenience, receiving a discount and budgeting their shopping were the top 3 reasons for self-purchase. Men are more likely than women to purchase a gift card for convenience and to receive a discount (both 41 percent for men versus 34 percent and 33 percent respectively for women). Women are more likely to do this to help them budget their shopping (26 percent compared to 22 percent of men). When it comes to encouraging self-purchase, receiving a discount tops the list of things that would prompt Brits who haven’t bought themselves a gift card before to do so (34 percent). Who is benefitting from this trend? 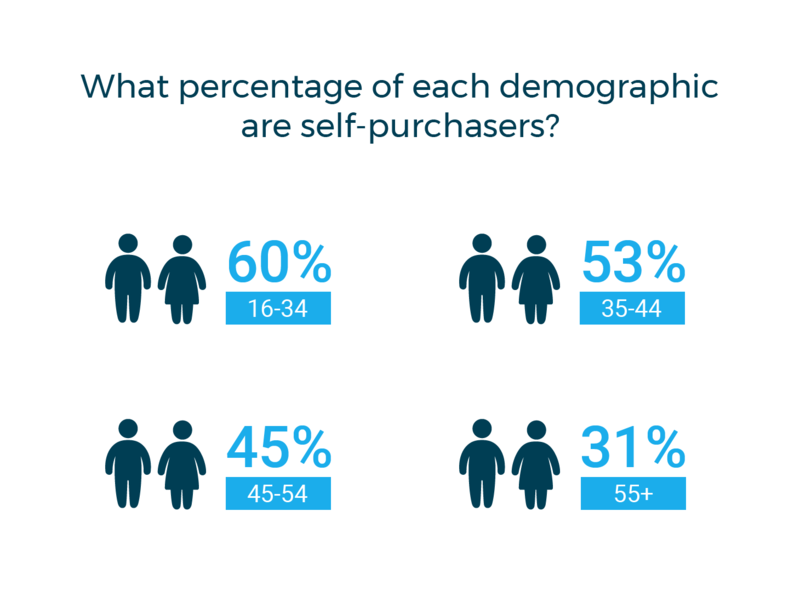 Both online and offline retail are gaining from the self-use trend. Whilst shoppers are more commonly using them for online purchasing (66 percent), nearly half of respondents (48 percent) have used them to shop in-store where the average order value is 17 percent** higher than it is online. Gift cards bought for self-use are helping to drive loyalty – with almost 3 in 5 (57 percent) of self-purchasers saying they visit a particular store or restaurant more often because of their gift card – and 24 percent agreeing that they do this ‘much more’ often. At 71 percent, Millennials are again leading this trend. Over three-quarters of self-purchasers are overspending on their gift card providing retailers with additional revenue. On average they overspend by £28.35 per transaction. Millennials are overspending by the most, averaging an overspend of £33.34. Gift cards are assisting retailers with customer acquisition - over 7 in 10 UK shoppers agree that a gift card would encourage them to shop at a store they wouldn’t normally visit – additionally, nearly a quarter of Millennials say that it would ‘definitely’ encourage them. Fashion is the most popular sector for self-use at 28 percent. However, supermarkets follow closely behind with 25 percent. Electronics came in at 23 percent and entertainment at 22 percent. by and employ members of the Market Research Society which is based on the ESOMAR principles. Established in the UK in 2014 to offer a marketplace for unwanted gift cards, Zeek has quickly transformed into Europe's leading Retail Currency platform. By enabling its retail partners to easily distribute their own currencies (gift cards bought for self-use) to consumers, Zeek is spearheading the creation of a new retail payment ecosystem and economy. One that is helping to deliver an increase in gross profits. Partnering with over 100 leading retailers, Zeek has pioneered retail currency distribution, providing its partners with a potent channel for driving additional revenue and profit, customer acquisition, loyalty and insight. The company is now on a mission to transform retail currency into a primary payment method. This press release was distributed by ResponseSource Press Release Wire on behalf of 9MM PR in the following categories: Personal Finance, Business & Finance, Media & Marketing, Retail & Fashion, for more information visit https://pressreleasewire.responsesource.com/about.